BERLIN, Germany -- A masked man was shot dead Thursday after entering a movie theater in southwestern Germany with what appeared to be a rifle and taking several hostages, authorities said. No one else was hurt. German media have reported, however, that some individuals were injured in the incident, possibly from tear gas police deployed when entering the theater. The armed man entered the Kinopolis movie theater in the early afternoon in the town of Viernheim and apparently fired a gun. The man held several hostages, police spokeswoman Christiane Kobus said, but she didn't have a precise number. Hesse state's interior minister, Peter Beuth, said it wasn't clear whether the weapon was functional. 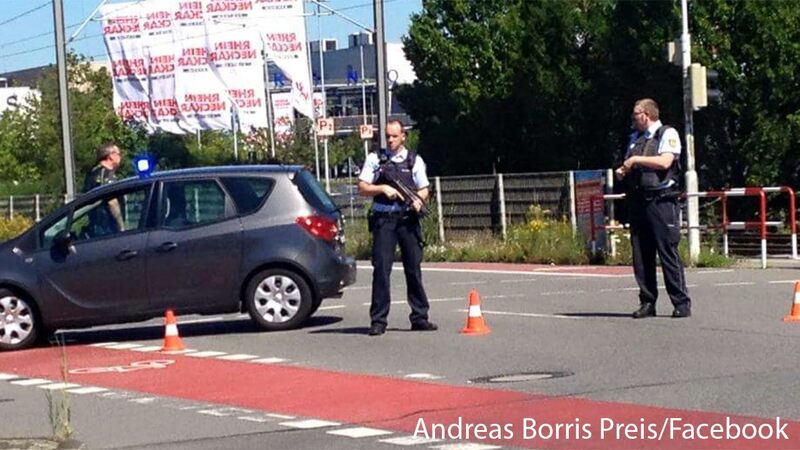 He told the regional legislature in Wiesbaden that the man was masked and that apparently four shots were fired. New York City police officers are being sent to movie theaters in New York as a precaution, Police Commissioner Bill Bratton said today.